The top 26 projects from BeadStyle Around the World special issue, plus eight all-new projects representing five countries and three additional new pieces, provide even more inspiration. Where do you want to go today? Asia and the Pacific Rim, Africa, Europe, the Americas? 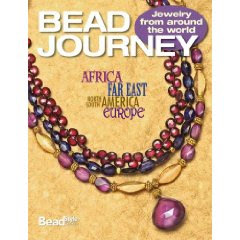 Take an exciting trip around the globe with Bead Journey! If you didn’t get to see BeadStyle’s special Around the World issue, you’ll love the projects packed into this booklet. With the large, easy to follow step-out photos that BeadStyle is famous for, there are projects that will take you all over the globe with their materials, color combinations, and style. 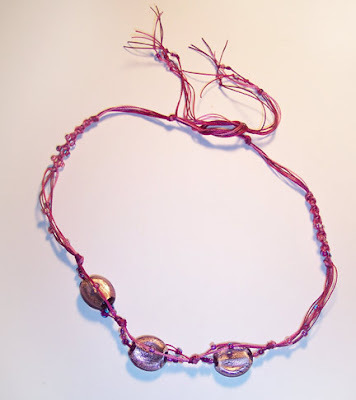 I found a project near the back that inspired me to use some of the lovely lampwork glass beads that I bought when we were in Italy. Funny enough, it wasn’t one of the Italian designs, but nonetheless it seemed to speak to me to get out those beads…now! It’s not exactly what the project shows to make, but isn’t that part of the fun?